Legal Disclaimer: These statements have not been evaluated by the Food and Drug Administration. This product is not intended to diagnose, treat, cure or prevent any disease. Consult a physician. 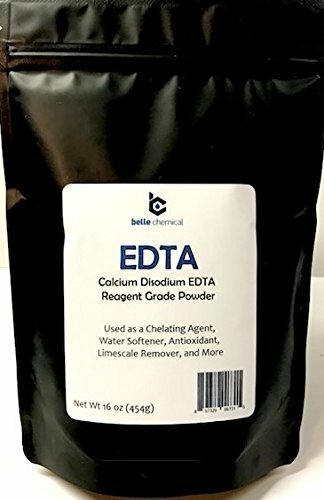 Details: EDTA, Calcium Disodium Salt Used for both industrial and medicinal purposes as a ligand and chelating agent. EDTA binds metal ions and diminishes their reactivity in solution. It is known to a lesser extent as a water softener and can aid in the dissolution of limescale by binding calcium and magnesium. For iron dissolution, the reaction in pH dependent where a more acidic pH is favorable. EDTA has been known to be used in the practice of chelation therapy for treating heavy metal poisoning.